I am not a fan of Brgy. Elections because I seldom see Brgy. Captains with integrity but last week, one aspiring Brgy. Captain made me see that there are still people who just want to SERVE (no hidden agendas) and they will not sacrifice their integrity for the sake of winning. My husband told Tito Ellen that there are three voters who are already working on a different place but they are still registered at Donya Lucia (our barangay) and they told my husband that they will go back if they will be given money for transportation. Tito Ellen’s remark was “Kung gusto nilang bumoto, uuwi sila, di na kailangang bigyan ng pamasahe” (If they want to vote, they will go back home. There’s no need to give money for transportation). The idealistic spirit in me sparked and I thought, this is a man everybody can look up to. Tito Ellen still considers that as a form of vote buying. 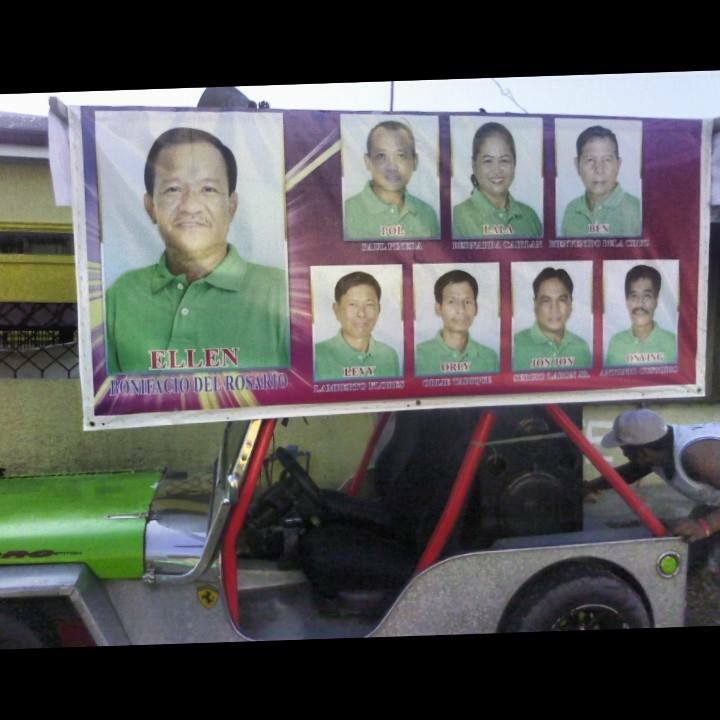 If only people like him can get the position to serve, I doubt if there will be no progress within our Brgy. We need simple acts of integrity. It’s in simple deeds that we can measure a man’s integrity. To my Tito Ellen, win or lose – you have gained everybody’s respect. And shame on the running candidates who will spend huge amount of money just to get the position. This is not just a story to inspire the people living in Donya Lucia. It’s a rural place and perhaps only 5 % of the people living there can read this but I still want to write the story about it to uplift people that there are still politicians with integrity.